With the convenient Internet, the inclination of people towards social media websites is increasing day by day. In this run, Snapchat is no more left behind to grab their attention. It is one of the most popular websites in the world of social media. Similar to other popular social media tools, some Snapchat users tend to have more than one account. Here, you can look for the methods to duplicate Snapchat accounts on one iPhone. Snapchat provides a platform which is highly popular in terms of security. The shared videos and images get deleted automatically as they are sent and delivered. 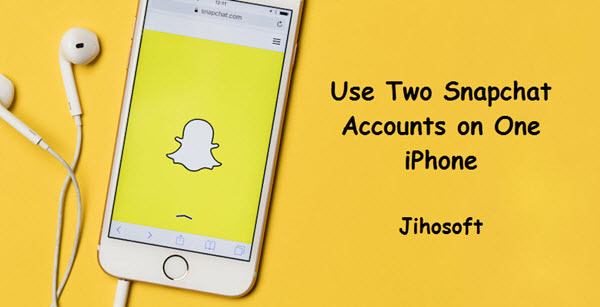 Using those 2 methods given below, you can use two separate Snapchat accounts in one iOS device to keep your personal and professional life recorded in two different frames, as well as contact different people with different identities. Let’s go through the method to use two Snapchat accounts in one iPhone, along with the solution to fix errors in accessing two different accounts in one iPhone. Tips: If you lost important messages or attachments from WhatsApp (or Viber chats), you can always use Jihosoft iPhone Data Recovery to recover deleted WhatsApp chat history from iPhone easily. Part 3: How to Fix if Multiple Accounts Return an Error? Go to http://appvalley.vip, then install AppValley app that allows you download Snapchat ++ on your iPhone. You’ll need to trust the app’s developer to get it working first. Go to Settings > General > Profiles & Device Management. From here, trust the developer of AppValley. You’re now able to start using the app. On AppVally home screen, search Snapchat++ and install it. If the “Untrusted Enterprise Developer…” message pops up, go to Settings > General > Device and Profile Management and trust the developer of it. You can then start enjoy Snapchat++ with a second account. Multi accounts app is very popular for using two accounts of any social media websites on the same device. As a member of these apps, Multi Social is known as the best to access two Snapchat accounts on one iPhone. It is designed for iOS devices and it works smoothly with all iPhone devices. Follow these steps to start using 2 snapchat accounts on 1 iPhone. 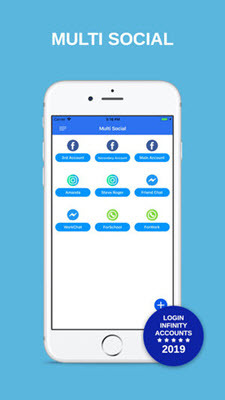 First download and install the Multi Social app on your iPhone. Open the app and permit the app to access a few fundamental tools of your device like a Camera, Microphone etc. Click on ‘Install’ when a profile page showing up for this app. 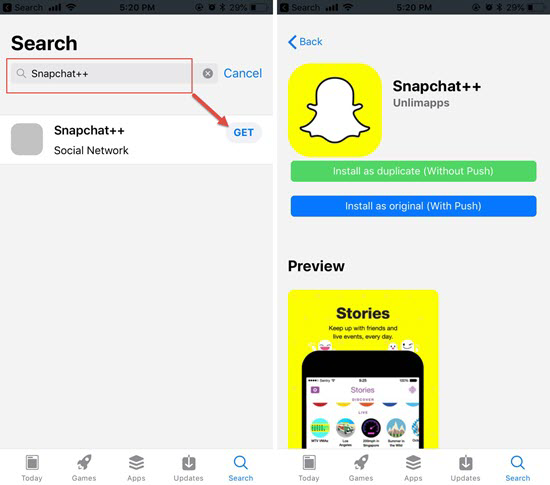 Open the app and tap on the ‘+’ button, then select Snapchat icon to add the second account inside this app, while the primary one is using with the Snapchat app on iPhone. Afterwards, you can enjoy using two Snapchat accounts in one iPhone. Also you can add more accounts in this app with your other social media like Facebook, Twttier etc. How to Fix if Multiple Accounts Return an Error? Errors and problems are common things in every aspect of life. Similarly, while running multiple accounts of Snapchat you may find some errors or interruption which is needed to be fixed as soon as possible to avoid the lapse or break in connecting through Snapchat. You will find many profile names present there. Search “VNE” and tap on it. Trust the VNE profile name to fix the problem occurring in the Multi Social app. Then enjoy using two accounts of Snapchat on one iPhone. Accessing multiple social media accounts is getting very common and sometimes it is also the need of the person to balance the social life in two different areas. Moreover, people mostly youngsters like to have a separate social life from family and friends. No matter what the reason is behind but having two Snapchat accounts is a way to enjoy or show a different life in the need of the hour on one iPhone. And here you get the method. Furthermore, you can also fix the errors or problems interrupting the usage of multiple accounts on your iPhone. These are the fundamental tricks used by many people without any hassle. If you have other suggestions or questions, please share in the comments section.